As I am probably not working in this intensively anytime soon, I will release the unfinished second alpha. This doesn't mean that development is halted forever, just that I hate mods that don't do intermediate releases. The second alpha has a number of improvements over the first which cannot be overlooked. 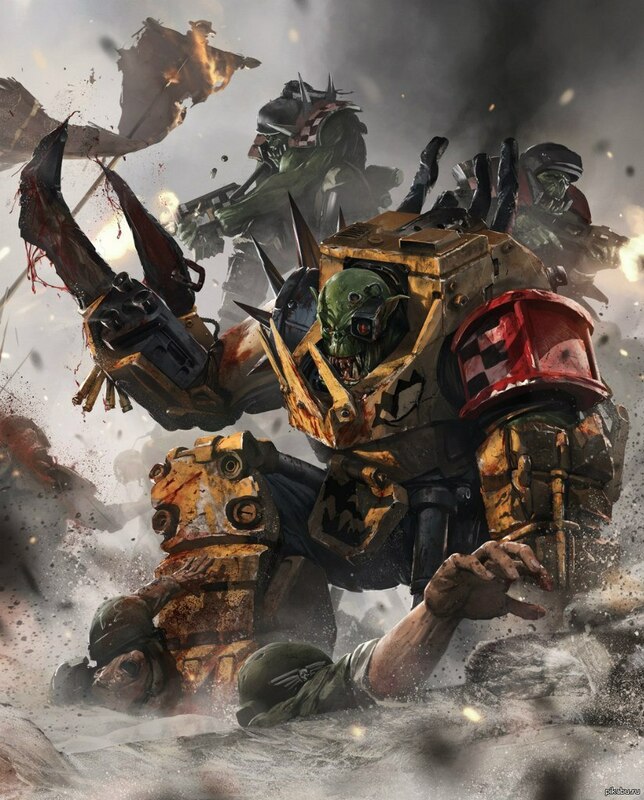 This edition is focused on Orks and Chaos. This is an INCOMPLETE changelist as compared to the previous version. My full changelog was lost due to a crash and was one of the main reasons I ceased development of the mod, as I coudn't track every change and I like it to be fully documented. If you want to see general modnotes, see previous version. In addition factions will get rewards for other fortresses in the form of strong units, besides the bonus. - Now all factions get a secondary hero unit always available as a purchasable honor guard from a territory near their fortress. - Added Greater Basilisk, a static artillery from the campaign. Fires Earthshakers for free. - Campaign monoliths get tougher, as the Necron fortress mission was reported as too easy. - Squiggoth extra costs didn't work properly, now they do. - Squiggoth honor guard is better than regular one. On this stage it isn't planned to add new races since there is no knowledge of how to apply them in campaigns, and practically all Dawn of War modding forums are gone. - The Mass Resurrection ability is only functional from the Necron Lord. The "mirror" on the Pillar of Darkness doesn't work. For AI not doing researches, check both files in ai\races\necron_race\strategies\ IIRC, one more or less forces the researches while the other one isn't forced but I could be wrong. For addons again check both files in ai\races\necron_race\strategies\ and look for addons, e.g. necron_listening_post_addon_1 and 2 and addon_necron_hq_1 and 2. For the Necron Lord artifacts, check in necronbuildbasestrategy.ai, more specifically NecronBuildBaseStrategy:BuildFlexible() which has the artifact researches. About the icons: Thanks, I actually didn't know about that. Strange since I never noticed the icons changing with guns in the original game. Will try to see if that works. But there is only a general upgrade, not a unit/squad upgrade (like heavy weapons), so its still quite weird.